Today, the criminal process is overflowing with heinous processes as never before. Public demonstration by law-enforcement of its so-called “efficiency” to for society rather than actual search of those found responsible and bringing them to responsibility is the main target of these detections. To do this, more and more often law-enforcement officers, hiding behind the alleged need to adopt effective mechanisms of the criminal process, are initiating changes that simplify their work. And this has a negative impact on the very procedure of the investigation, in which gross procedural mistakes are allowed, and on those who are being persecuted — by disagreeable officials and “worthy” businessmen. Invariably popular remain accusations of fraud; assignment, embezzlement and acquisition of other people’s property via misuse of an official position; laundering of income received in a criminal manner; evading the payment of taxes; fictitious business; financing of terrorism; abuse of power whilst in office; as well as an offer, promise or payment of improper benefit (bribe). Also during the recent period, they were joined by accusations of creating or participating in a criminal group. And then everything is very simple for law-enforcement bodies: initiation of criminal proceedings for which they are not liable for fictitiousness, search, interrogations, arrests of property, which investigating judges most often do not even penetrate into the essence of the proceedings, and the transfer of the case to court within the terms established by senior officials, and not the Criminal Procedure Code. This situation is accompanied by an active appeal by representatives of business and civil servants to lawyers. In our association practice, we notice that there has been a significant increase in demand for the conclusion of treaties on the provision of legal assistance as a preventive measure. This equates not to wasted time searching for and enlisting a lawyer in case of an attack, and also increases the probability that law-enforcement officers will not be allowed to commit acts in the absence of a lawyer. At the same time, it is necessary for a lawyer to not only protect the interests of the client, but also to control the performance by opponents of their actions within the framework of criminal procedural legislation. Highly-specialized AVER LEX commands unrivalled capacities for being a preferred criminal defense team in particularly compound and complex criminal cases with numerous parties, parallel investigations and simultaneous hearings. Over the last year the firm has been working on the complex legal defense of former Ukrainian President Viktor Yanukovych in a range of criminal proceedings, initiated by the Prosecutor General’s Office of Ukraine. Another highlight is the resonant “Oleksandr Onishchenko gas case” — one of the first high-profile cases of the National Anti-Corruption Bureau of Ukraine. Among others, the firm has a solid portfolio of corporate clients. Another significant project is representing the rights and interests of ZTE Corporation in criminal proceedings related to protection of the property rights of corporations. The sizeable practice team is led by top recognized criminal defense attorneys Vitaliy Serdyuk and Olga Prosyanyuk. The past year has been busy for another key rainmaker at the firm, Igor Fedorenko. In addition, Artem Drozdov, who leads a member of significant cases, has been promoted to partner. The domestic boutique Solodko & Partners enjoys a reputation of a port of call for criminal defense and business security. The team, headed by managing partner Evgeniy Solodko, has developed unique expertise in the field of protecting the interests of large companies and business groups, and also possesses rich practice in protecting politicians and senior government officials (for example, Oleksandr Yefremov, deputy head of the Party of Regions). EPAP Ukraine’s sizeable criminal law team is frequently instructed in high-profile criminal matters. Particular focus is given to business crimes and business security. The team recently represented members of the Cabinet of Ministers of Ukraine in criminal proceedings related to the first anti-corruption investigations in Ukraine; a major crop protection producer, importer and distributor and a major agriculture company in criminal proceedings initiated by the Security Service of Ukraine. Partner Sergiy Grebenyuk is a highly referenced criminal defense attorney, with a broad caseload. 2016 was a year of dynamic development of the white-collar crime practice at EQUITY (called FCLEX up till June 2017) . The majority of projects were connected with the protective actions of officials in criminal proceedings, including anti-corruption disputes, as well as with actions aimed at counteracting illegal (raider) seizures of enterprises. The firm’s track record included representing officials of Mriya Agroholding in criminal proceedings opened on the fact of illegal seizure of funds worth about USD 1 billion and the plundering of agricultural machinery (500 units) and representation of the interests of the Azovmash Group of Companies and Helen Marlen Group in criminal proceedings opened on the fact of non-payment of taxes. Senior partner Victor Barsuk and partner Taras Poshivanyuk led the practice, while Sergey Chuev and Vyacheslav Kralevich handled sophisticated business crime projects. VB PARTNERS has reprofiled its focus on white-collar crime as a core practice area. In 2016 the team was busy in numerous criminal proceedings. For example, it protected the interests of two top managers of USB Bank suspected of embezzling about USD 100 million; and acted on behalf of British American Tobacco — the victim and civil claimant in criminal proceedings on charges of committing crimes of illegal use of marks for goods and services and illegal manufacture of excisable goods. Denys Bugay, who is well known on the market, focuses on representing clients from the banking sector, as well as in the oil and gas, alcohol, tobacco industries. Oleksandr Lukyanenko acted as co-head of the team. In 2016 the white-collar crime team of Sayenko Kharenko acted in more than 30 high-profile criminal cases. The firm’s sizeable team is often instructed by leading names in the, chemicals, FMCG, healthcare, industrials, mining and metals, oil & gas, retail, technology, TMT and transport sectors. Recent highlights include representing Reckitt Benckiser Household & Healthcare Ukraine in criminal proceeding; protecting the interests of a former head of the State Food and Grain Corporation of Ukraine PJSC in a pre-trial investigation and courts of all instances in several criminal proceedings. The team is led by dispute resolution partner Sergey Pogrebnoy. Counsel Sergiy Smirnov is highly active in representing clients in criminal proceedings. The team includes Igor Voronov and Oleksiy Gerasimchuk. Ilyashev & Partners combine domestic and cross-border practice related to white-collar crime. The team’s recent experience includes legal support of international extradition of the former owner of BTA Bank, Mukhtar Ablyazov, to Ukraine and Russia from France. The firm also currently acts in several extradition processes in England, the Czech Republic and Lithuania. In Ukraine the firm protects the interests of National Information Systems LLC in criminal proceedings on the fact of an incident at the Inter TV channel in its news service office. Attorneys are involved in representing officials agricultural holding in criminal proceedings on charges of fraud and protecting a bank’s officers in criminal proceedings regarding embezzlement through abuse of office. Artem Orel is the main criminal defense attorney. The sizeable team includes Galyna Lefor, Iryna Kuzina, Ivan Bozhko, Vasiliy Ocheret. Milkhail Ilyashev and Roman Marchenko are the responsible partners. Arzinger’s criminal defense practice covers business protection and white collar crime. The network of regional offices (Lviv and Odesa) is an advantage for practice development. The team represents the interests of senior management, company’s officers and employees. The caseload includes fraud, embezzlement and seizure of assets, and also supporting banks in criminal cases on non-performance of credit agreements. The firm handles defense to a local agent of a syndicate of European banks, which is a victim in six investigations in criminal cases on non-performance of loan agreements and disappearance of collateral in different regions of the country. Partner Kateryna Gupalo, head of tax and customs disputes as well as white-collar defense practices, is the key contact. Kinstellar opened its office in Kyiv on 1 March 2016 and announced cross-border litigation and arbitration as its core focus. Several multijurisdictional disputes involve the white-collar crimes component. The team acts on behalf of clients in sensitive investigations, enforcement proceedings and cross-border actions and represents individuals as well as domestic and international companies at all stages of criminal procedures. For example, the office represents a client in connection with fraudulent misappropriation of assets committed by former business partners in a number of jurisdictions. Kostiantyn Likarchuk is the lead partner. Vasil Kisil & Partners officially launched its practice in 2016 and specialized in matters relating to the white-collar crime category, which include economic and financially motivated non-violent crimes committed by business and Government professionals. The work highlights are providing legal aid to the management of a leading Ukrainian telecom company, Kyivstar, in a criminal case and administrative case regarding alleged tax evasion as well as providing legal aid to Vitaliy Kasko, a former deputy prosecutor general, in a criminal case. Moreover, Vitaliy Kasko joined the firm as a partner to head the white collar crime practice in March 2017. Andriy Stelmashchuk, managing partner and acknowledged litigator, is another prime contact. GOLAW has an established team of criminal defense lawyers, headed by experienced partner Angelika Sitsko. In 2016 the firm rendered criminal defense services to its corporate clients. The cases related to business, white-collar crimes and corporate internal investigations. Ario Law Firm reports on accompanying nearly 40 criminal trials. The team successfully completed projects, which are connected with representation of interests of the suffered legal entities, interests of persons who are suspects and other persons affected by the actions of law— enforcement agencies. The practice is managed by partner Yevhen Hrushovets, who was active in resonant public cases, and is gaining market visibility. Counsel Vladyslav Hryshchenko also specializes in defense in criminal cases. Alekseev, Boyarchukov & Partners, a three-strong white-collar practice is led by Igor Samoletov. The firm’s caseload includes, inter alia, representing the interests of banks in criminal proceedings, unlawful actions with the bank’s mortgages and protecting the interests of employees of the National Bank of Ukraine in criminal proceedings. Managing partner Sergey Boyarchukov oversees the team. Asters, a full-service Ukrainian law firm, provides complex legal support for business activities, including representing clients’ interests in criminal proceedings. Last year the firm was involved in criminal proceeding related to purported tax evasion, abuse of authority, money laundering and fraud. Associates Oleksandr Yakovenko and Oleksiy Ukolov are the primary practitioners. Managing partner Oleksiy Didkovskiy supervises the practice team. Given its established positions in tax law, KM Partners has profound experience of tax evasion matters, both pre-trial and court proceedings. The firm’s attorneys carry out defense in criminal proceedings opened on the grounds of public crimes, qualified as forgery in office, neglect of official duty, fraud, misappropriation, embezzlement or conversion of property through corrupt behaviour, violation of occupational safety law. Cases are supervised by partners Alexander Minin and Alexander Shemiatkin. 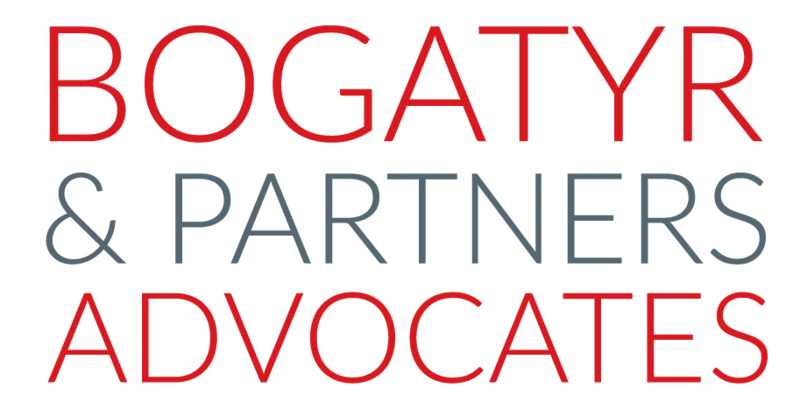 Bogatyr & Partners represented both corporate clients and individuals in a wide variety of matters, including fraud claims, white collar matters, etc. In the outgoing year the firm successfully challenged Interpol Red notices aimed at international clients and assisted in granting foreign refugee status. It is noteworthy that the team also obtained court orders against extradition from Cyprus and United Kingdom. Volodymyr Bogatyr is known for his active cross-border litigation work. The Kyiv office of Baker McKenzie includes providing legal support to clients in criminal proceedings, such as pre-trial investigation, provision of information and legal representation before courts. The firm customarily has strong compliance offering, including representation in international investigations. Ihor Siusel is a responsible partner. In 2016 ARBITRADE’s criminal caseload increased. The practice was rich in cases related to fraudulent actions of the counterparties of clients or even third parties unrelated to the contractual relationship but causing losses to both sides. Notably, criminal attorneys are experienced in representing not only the accused, but also victims of criminal activity. Pavlo Trytenichenko and Andriy Shulga lead the dedicated team. A significant part of the criminal practice of Sokolovskyi & Partners is the provision of effective legal aid in tax evasion trials. The firm also represents clients in criminal proceedings related to fictitious entrepreneurship, forgery, violation of safety rules during the execution of works with increased danger, misappropriation, embezzlement or acquisition of property, abuse of power. The practice is led by senior partner Tetiana Lysovets. Attorneys Association PwC Legal expands its offering on criminal proceedings, often initiated on the basis of tax audits. The team recently successfully supported a number of clients who are officials in the course of criminal proceedings, including participation in interrogative actions. The practice is led by Andrey Pronchenko, managing partner. International Legal Center EUCON traditionally has a strong following from the officials of corporate clients on representation in criminal proceedings. The firm represents the interests of clients in tax evasion cases, and also takes part in criminal proceedings on the facts of possible abuse of authority by tax officials. The resonant Savik Shuster Studio case is a highlight of its work. Practice head Yevgen Petrenko was promoted to partner. Gramatskiy & Partners has two practices: business protection (led by Oleksandr Koval) and criminal defense (headed by Mykola Voitovich). In 2016 the predominant share of instructions and work in the practice involving criminal protection of clients who are officials and employees in various economic-related criminal proceedings. Last year the firm acted in 302 criminal proceedings at various stages and in different forms. Sklіarenko, Sydorenko & Partners defended politicians and top officials in resonant criminal cases, as well as in tax evasion cases, fictitious enterprise cases, fraud, hostile takeovers, money laundering. In the past year the team represented the interests of Davit Sakvarelidze, Ex-Deputy Prosecutor- General of Ukraine, during questioning by the Prosecutor-General’s Office regarding the embezzlement of funds given as donor assistance from foreign governments, which had been allocated for reforming the Prosecutor-General’s Office. Partner Andriy Sydorenko is the key contact. Advice Group is focused on white-collar crime matters. During 2016 this Lviv-based firm continued the successful representation of RTi Rohrtechnik International in the complex white collar crime case related to Ukrainian branch management fraud. The team also provided legal support to one of the leading Ukrainian automotive companies in a complex white-collar crime case investigation related to possible fraud and bribery by Ukrainian branch management. Partner Oleh Kyryievskyi is head of the dispute resolution practice. Managing partner Anton Podilchak is another contact. Kharkiv-based Shkrebets & Partners renders attorney services in criminal proceedings instituted against officials of Kharkivoblenergo JSC. The practice is led by partner Olexiy Meniv. Prove Group specializes in protection against accusations of white-collar crimes: tax evasion, fraud, embezzlement through abuse of office, fictitious entrepreneurship. The list of clients includes politicians and the business community. Managing partner Yuliya Repina is a prime contact. Law Firm Dynasty supported corporate clients’ officials in tax evasion matters and accompanied criminal proceedings on charges brought against officials of an enterprise in the forgery of documents. The practice is managed by partners Vyacheslav Kohlyakov and Anna Poddubnaya. Trusted Advisors, as led by Ivan Mishchenko, is noticeable in white-collar crimes practice. In 2016 the firm reports on accompanying four criminal trials in the framework of full supporting of criminal proceedings, appeal against the arrest of a client’s property, protecting the rights of witnesses during the interrogation process. Igor Cherezov, managing partner at Cherezov & Partners attorneys at law, is known for his participation in resonant public criminal proceedings. Major Ukrainian companies and public officials hire the firm to protect their interests. The attorney is vividly seen in resonant recent cases involving politicians. The sizeable white-collar crime practice at Juscutum Attorneys Association, as headed by Denys Ovcharov, is known for its activity on behalf of IT clients. Support in recovery of withdrawn assets and arrest of assets in terms of criminal proceedings fall within the firm’s recent profile. Vdovychen & Partners’ attorneys, as led by Oleg Vdovychen, were active in various criminal issues. S.T. Partners and both founding partners, Svitlana Trofymchuk and Sergiy Tyurin, are known on the market for their criminal defense work. Attorneys’ Association Gestors, under the guidance of Oleksandr Babich, provides protection in a wide range of criminal proceedings, notably abuse of power. Several law firms established white-collar crime practices in 2016. For example, attorney Irina Kovalchuk headed the new criminal law practice at L.I. Group. Criminal law and procedure became a new niche for MORIS GROUP.